The One With The Disco Budgies! Morning cupcakes! do you remember Friends? I loved the way their episodes were titled “the one with”, well if this week was an episode of Friends this would be the one with the disco budgies! let me explain…. 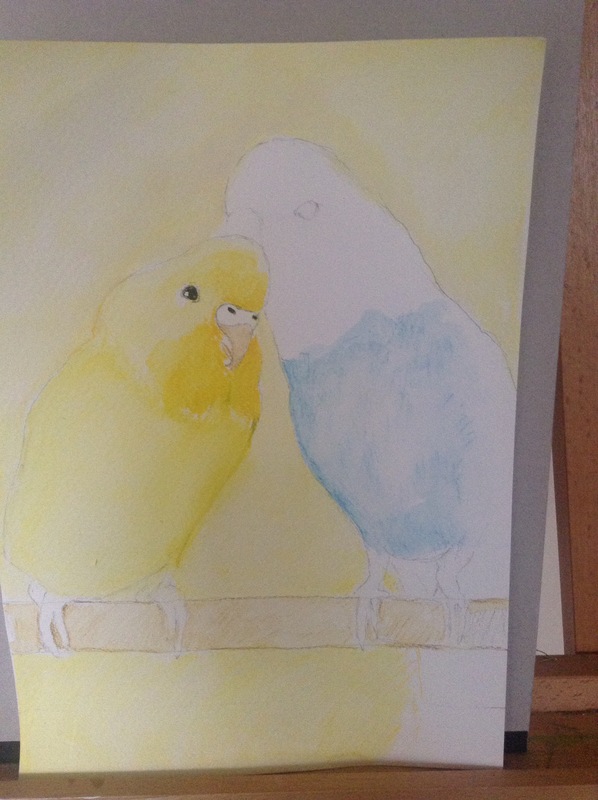 Ive just joined a support group for people with Hypermobility syndrome, through this I’ve met a lovely girl called Lucy and long story short I am doing a picture of her birds as practice for me. 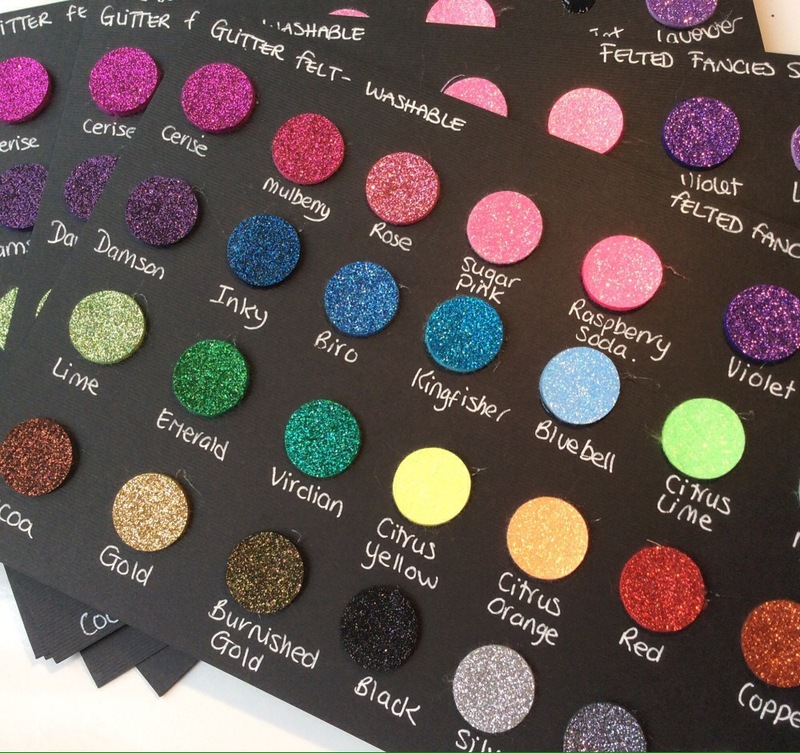 I sorted out my palette of Inktense pencils (the ones I use for all my pictures) and this happened……….. Neon yellow discotastic budgies! aaarrrgggghhh! there was nothing else to do but start again, but by this time I had “used up” my painting arms and needed to do something else, so instead of continuing with my House Of Cards marathon I thought about what I ﻿could do instead that would still benefit my business. 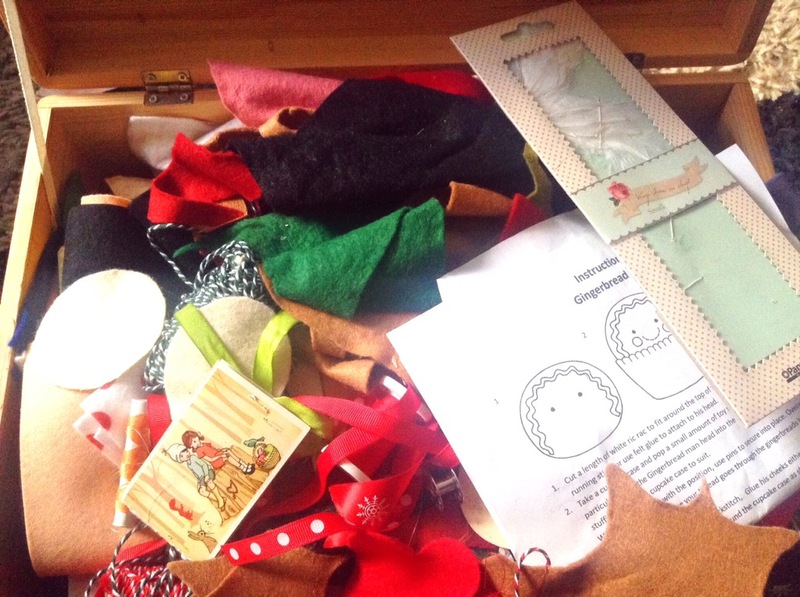 First up, the felt box, look what a state its in post Christmas rush……..
Oh the horror! so I took at patterns and put them in a file, piled up the felt neatly and took out the cottons, ribbons and buttons and stashed them away. 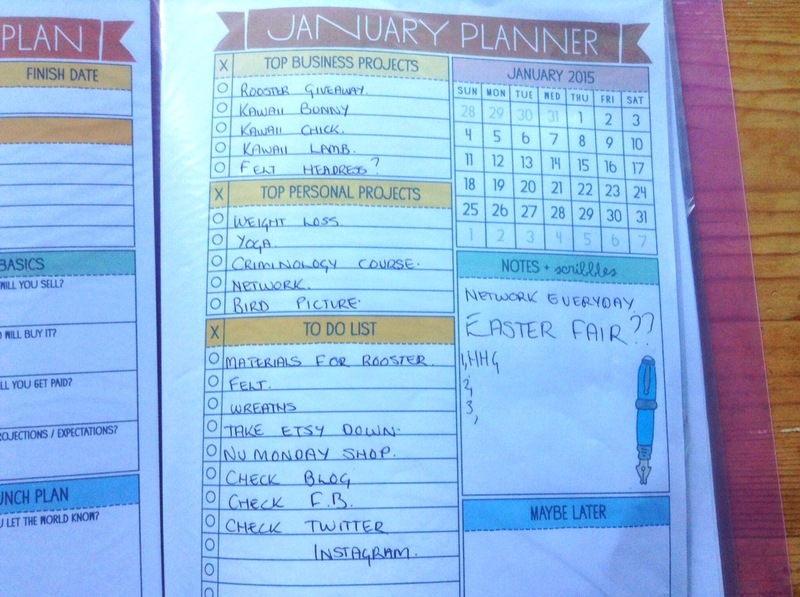 This had got me in a grown up, sort stuff out sort of mood, so then I planned out the next three months work in detail on my Mayi Carles Planners….. I also put down some ideas for the rest of the year! 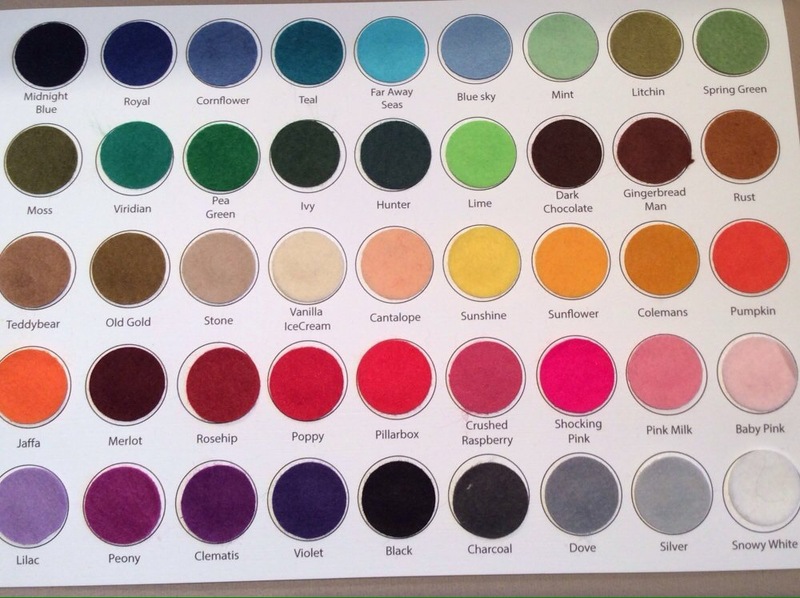 Finally I ordered shade cards from my usual felt supplier Felted fancies Supplies……. This year things I make will be EXACTLY the right colour. All this effort made me think of my friend Nik’s New years resolution, she said that she was just going to do the same stuff but maybe a little better. Thats exactly what I’m going to do, just give each day that extra 5 or 10% and keep my business at the front of my mind the whole time.